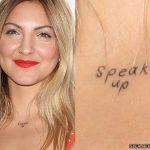 Julia Michaels has talked about how much she hated the lotus tattoo on her elbow, which she got the day than an ex-boyfriend dumped her. 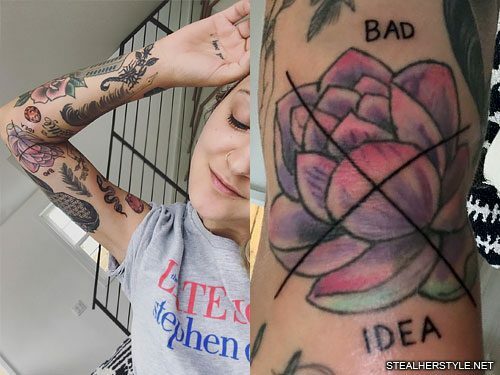 She thought it was poorly done and looked more like a “colorful artichoke.” So in July 2018 she had artist London Reese draw an “X” through it and added the words “BAD IDEA” with “BAD” above the lotus and “IDEA” below it. “Because it was. And he was,” she wrote. 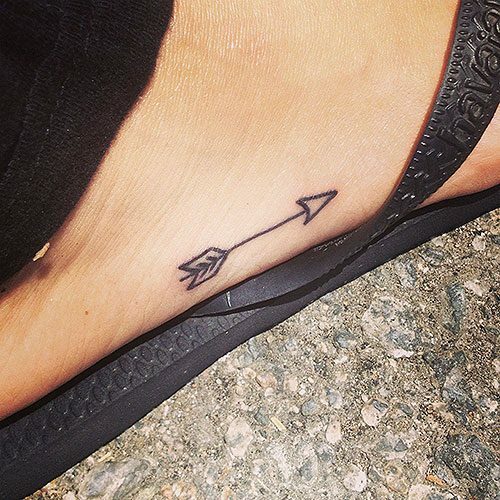 Jana Kramer got this tattoo of an arrow on her right foot in June 2013. The arrow faces towards her toes to represent taking steps forward. 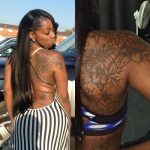 “My new tattoo! 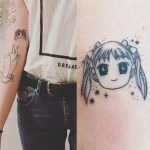 Meaning for me is forward steps and no regrets! Do ya like?!? 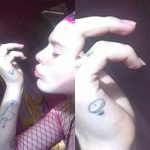 !” she wrote on her Facebook page. 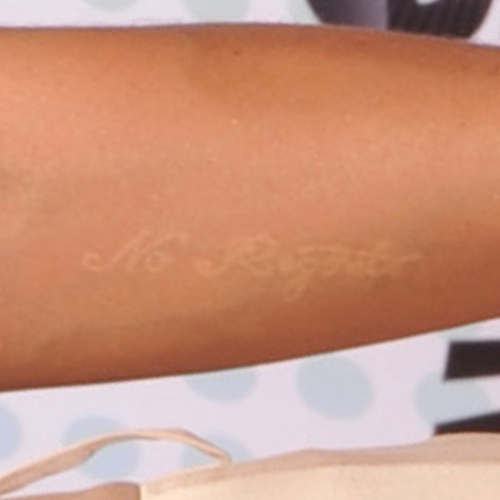 Cassie has “No Regrets” tattooed on her left forearm in white ink. 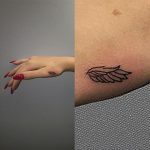 Its placement on her hand is notable because it is next to the heart which she got as a matching tattoo with her ex-girlfriend Samantha Ronson. 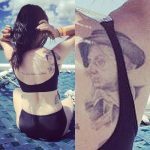 It would seem that Lindsay has no regrets about the tattoo or the relationship.